When you travel a lot, you’re always looking for ways to save money so that you can afford the next trip. But there are some things—like books and souvenirs—that are a part of my trips that I can’t live without. And while it’s important to save money, finding ways to recycle or reuse items also helps cut down on waste, which benefits the environment. Here are some cost-cutting ways to travel that while small, can add up to big savings in the end. I can’t travel without reading—in the airport, on the plane, in restaurants, and before I go to bed at night. But lugging heavy books around is difficult, especially when you’re trying to make a luggage allowance. And buying the latest top-sellers at $29 a pop can get expensive. Before a trip, I duck into a local thrift store and buy a bunch of lightweight paperbacks, usually for less than $1 that I can tuck into my suitcase or purse. Most places have huge book selections, and you can find some pretty big name authors for next to nothing. Better yet, when you’re finished, you can leave the book behind for someone else to enjoy, and you leave with lighter luggage. A word of caution—while library books are even cheaper (like free! ), you’ll end up paying a lot more in the long run if your luggage (and your books) get lost. 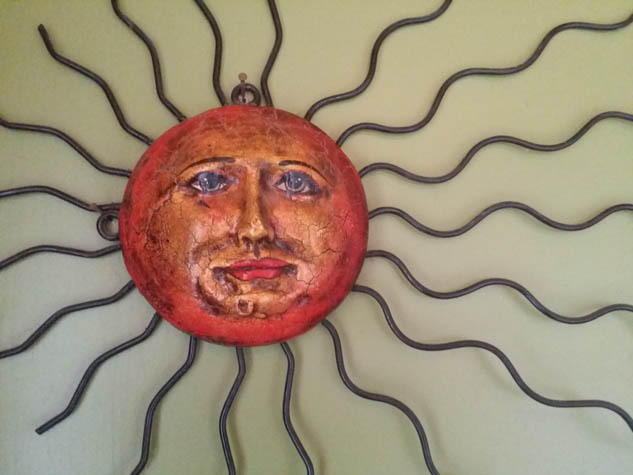 I learned this in San Felipe, Mexico, when some friends and I stopped at a local flea market and I found one of my all-time favorite souvenirs—a beautifully expressive sun with wrought iron rays that I got for $20 (or however many pesos that is). Sure, you can pay a lot more in a tourist store for something mass-produced, but wouldn’t you rather have something that’s a truly unique find? I found another original painting in Juneau, Alaska, featuring Tlingit motifs that I proudly hang on my wall, and my father, while at a flea market in Paris many years ago, bought 10 swords which today are worth quite a bit—and he paid $5. I should mention that make sure what you buy can be transported on an airplane—stay away from agricultural items and weapons if you want to carry your bargains on board. Puerto Vallarta has some truly amazing restaurants…as well as some pretty fantastic street food (seriously, check out the tacos!) While I’m all about sitting down and being served a wonderful meal, if you’re looking to save money, see what street vendors have to sell—it’s quick, it’s easy, and it costs a lot less than typical restaurant fare. On a Saturday in Pittsburgh, for example, you can eat your way down Smallman Street in the Strip District while shopping at the outdoor markets, and in New York, hit up the pretzel vendors or hotdog sellers—it’s not a five-star meal, but it’s definitely an authentic experience. I’m always amazed when I see someone shelling out between $40-$100 for a sports jersey when I can walk into my closest thrift store and take my pick of about 20 different team shirts. Admittedly, I live in a huge sports town where everyone gets new Steelers’, Pirates’ and Penguins’ paraphernalia every Christmas, but that just means that there’s more to choose from when everyone purges their closets. Same goes for team thermoses, posters, gloves, hats, t-shirts and more—the shelves are full of ways to remember your visit to a sports city without suffering from sticker shock. While it’s nice that hotels provide shampoo and soap for visitors, a lot of people prefer to use their own products. There are a number of places that will gladly take the unused items to help those in need, such as homeless shelters, and you can even create your own care packages if you want. Because the items are small and lightweight, they’re easy to transport, which makes it almost effortless to do your part to help out someone else. Do you have any tips to save money while you travel? Tell us about it on Facebook!